"I LOVE THIS PLACE... They are so friendly, helpful and fast." 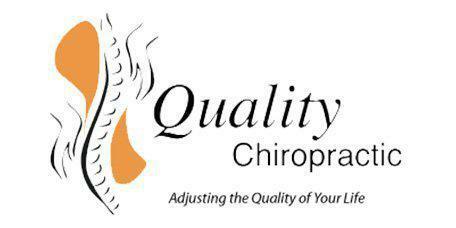 "Great chiropractors and wonderful office staff!" "I saw both Dr. D'Amato and Dr. Dana throughout my pregnancy and they were awesome!" "...I've had Dr. D'Amato too and found her just as wonderful..."
Led by Dr. Camille D’Amato, Quality Chiropractic is the premier destination for compassionate and effective chiropractic care for patients from in and around Falls Church, Virginia. The team of chiropractors physical therapist and certified sports physician, provide a wide range of treatments including chiropractic care for auto injuries, sports injuries, pregnant women, infants, and children, physiotherapy, nutritional and weightloss counseling including the Ideal Protein program, dry needling, orthotics, and chiropractic care for a range of complaints such as headaches and migraines, back pain, sciatica, neck pain, foot pain, whiplash and other injuries. The practice was founded by Dr. Camille D’ Amato in 1994. Patients travel to the practice from throughout Northern Virginia to access the excellent care provided by Dr. D’Amato and her associates. Services include spinal manipulation, electro muscle stimulation, moist heat and cold therapy, intersegmental traction, massage, and rehabilitative exercises. New patients are currently being welcomed at Quality Chiropractic and most major forms of insurance are accepted. Dr. D’Amato and her team look forward to meeting new patients and helping them to live healthy and active lives with effective chiropractic care. Meet Our New Massage Therapist Scott! Both he and Dee Dee are here to relieve your sore muscles! New Year, New You! We are proud to introduce IDEAL SMART, a new technology to help you lose weight and keep it off! Call us at (703) 237-0404 to sign up for our free, no-obligation workshop and learn more about this life-changing program! Proud to be named one of the Top Chiropractors in Fairfax for 2018 by Expertise! Most insurance plans are accepted at our chiropractic offices. We accept auto accident, workers compensation, personal injury cases that have resulted in back pain, neck pain, headaches, or other related pain conditions. We also accept most health insurance plans, including Medicare. Because there are so many insurance plans out there, and because coverage for chiropractic care varies widely, please call us to find out if your plan covers care in our office. Before you start a chiropractic care plan, our staff would be happy to verify your benefits and explain them to you at no charge. "For 20 years I've been a patient of Quality Chiropractic and Rehab, the whole team has provided me with top notch care over the years." "I've been to several chiropractors before and this practice has been my best experience so far. The office staff is also very friendly and will work with you..."
"I've had very good experiences with Quality Chiropractic. I went to see them when my baby was in a posterior position shortly before giving birth." "The entire staff is extremely polite and welcoming, and the office itself has an "everything will be alright" feeling to it." "I would highly recommend any of the doctors at Quality Chiropractic but especially Dr. Dana and Dr. D'Amato with any of your children or during your pregnancy." "After seeing Dr. D'Amato and others, the baby rotated to the correct position for birth. I have found all the doctors to be very professional, knowledgeable, and warm."